Directions: From Denver take I-70 west to C-470 east (south) to Hwy 285 south. Just before you reach the Aspen Grove shopping center look for the sign to the open space on your right. The exit is on the right and you curve around under the highway to the Meyer Ranch Parking Lot. 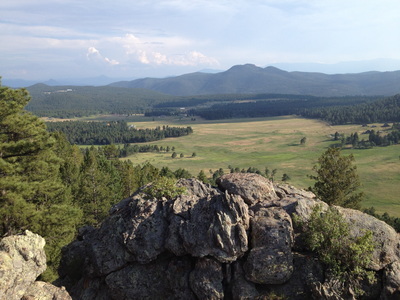 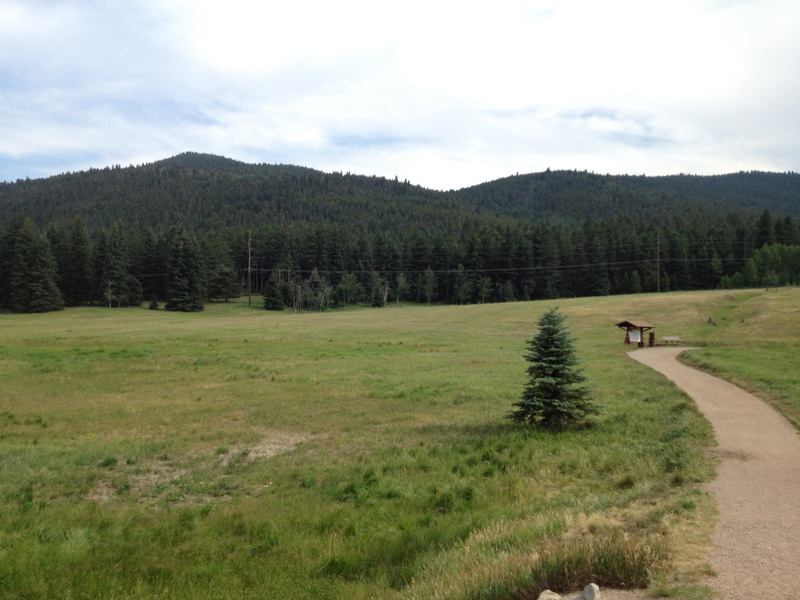 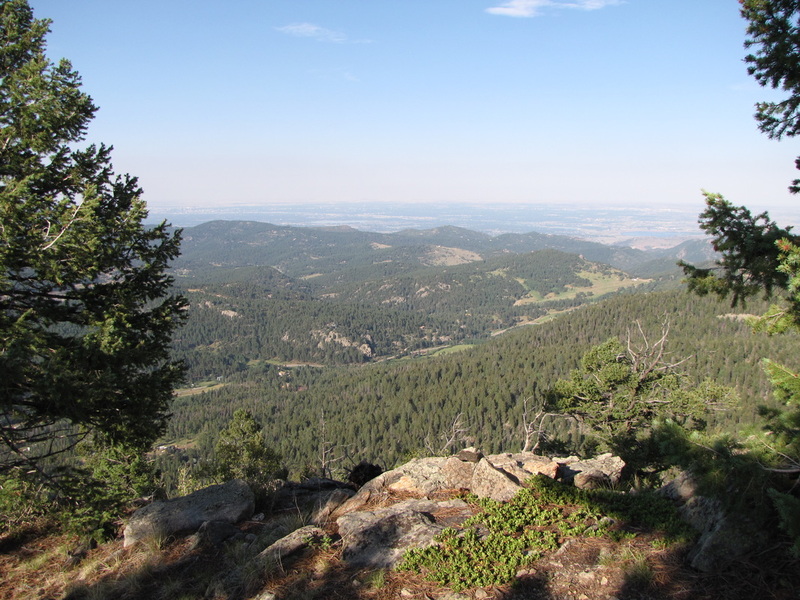 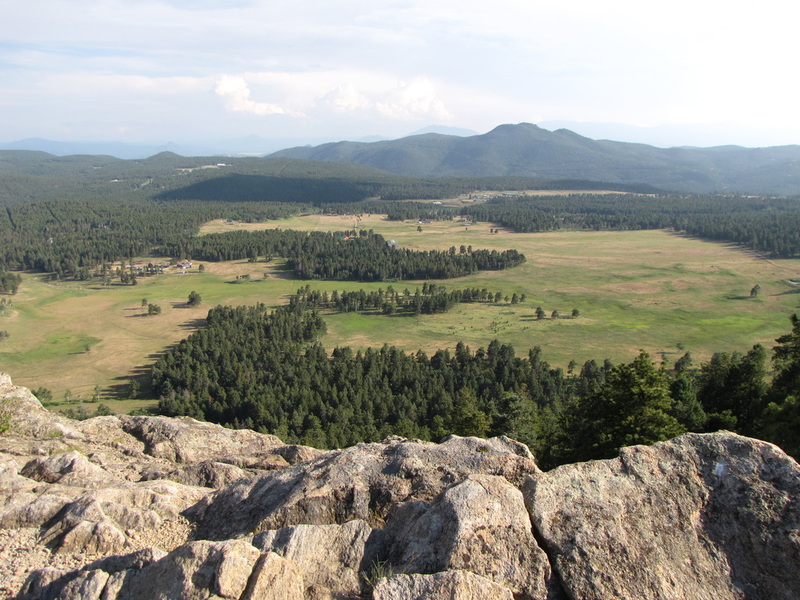 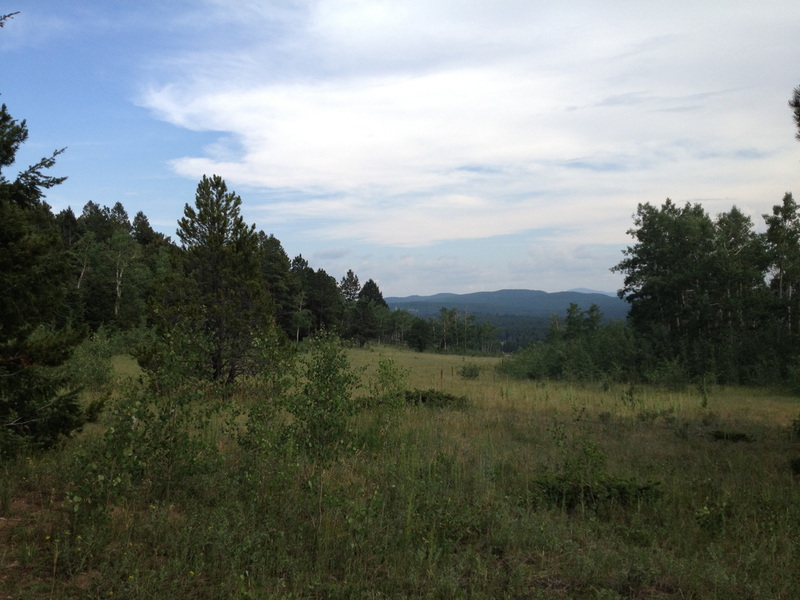 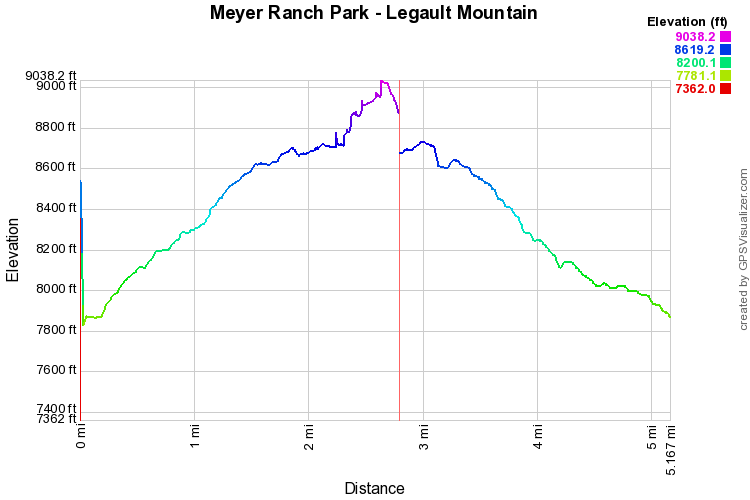 The Hike up to Legault Mountain is the longest and most strenuous hike in Meyer Ranch Park. 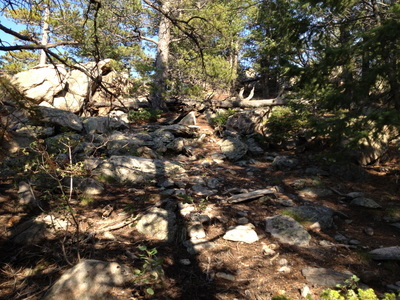 It also leaves the official trail system and requires a little route finding even though there is trail all the way to the summit. 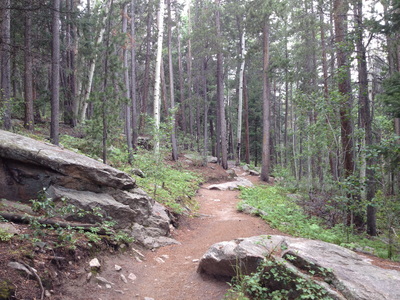 The trail to the rocky summit leaves from the furthest reaches of the official trail system on the eastern point of the Old Ski Run Trail Loop. 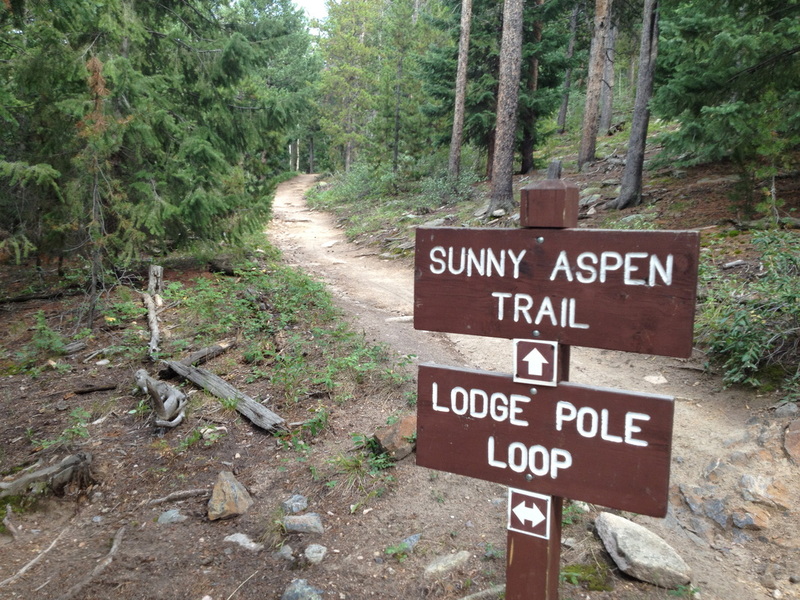 When you begin the loop at the end of the Old Ski Run Trail start keeping an eye out to the right for the trail leading to Legault Mountain. 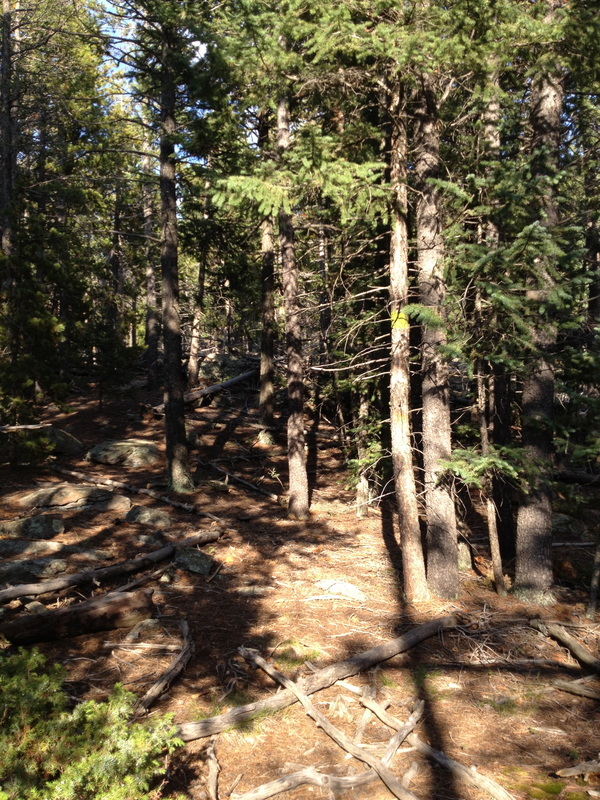 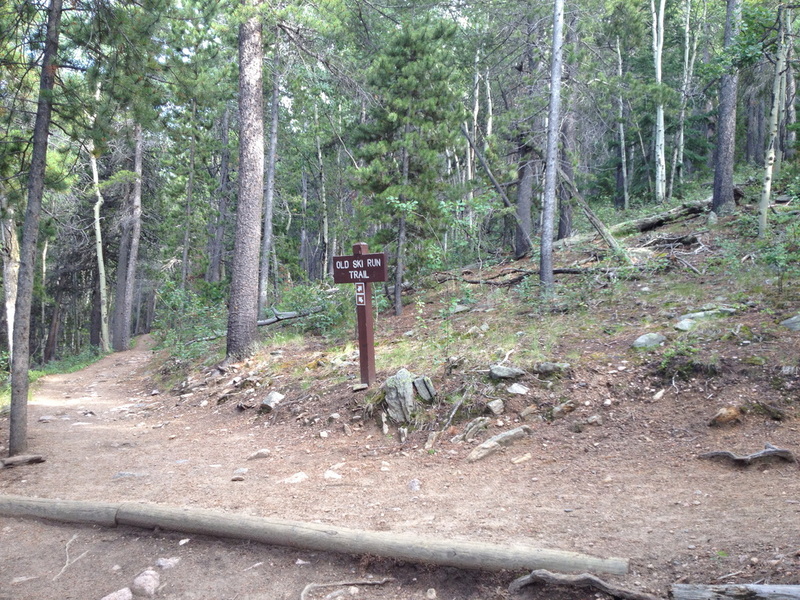 There is no trail sign, but the trail is somewhat obvious, look for logs showing the edges of the trail. Once you find it, follow it east on a level path to a beautiful open meadow with views to the south. 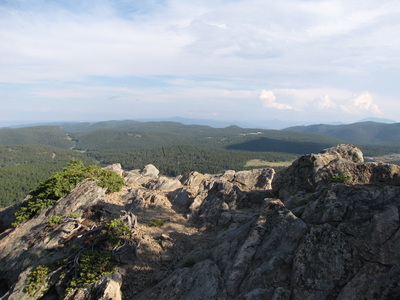 From here you will get a great view of the summit of Legault Mountain and can orient yourself. 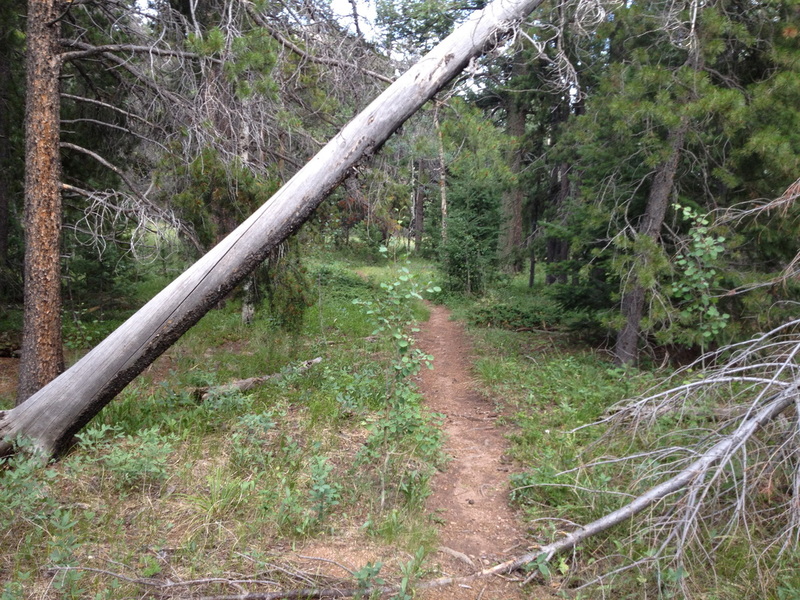 Follow the trail towards the summit ignoring any other social trails that lead south along the meadow. 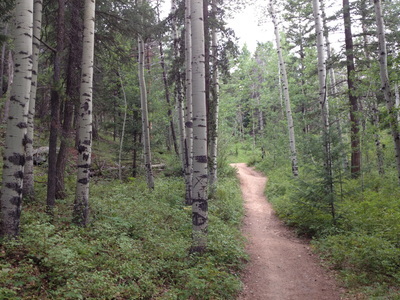 There are blue trail blazes on the trees leading the way, but take your time as the trail can be tricky to keep track of. 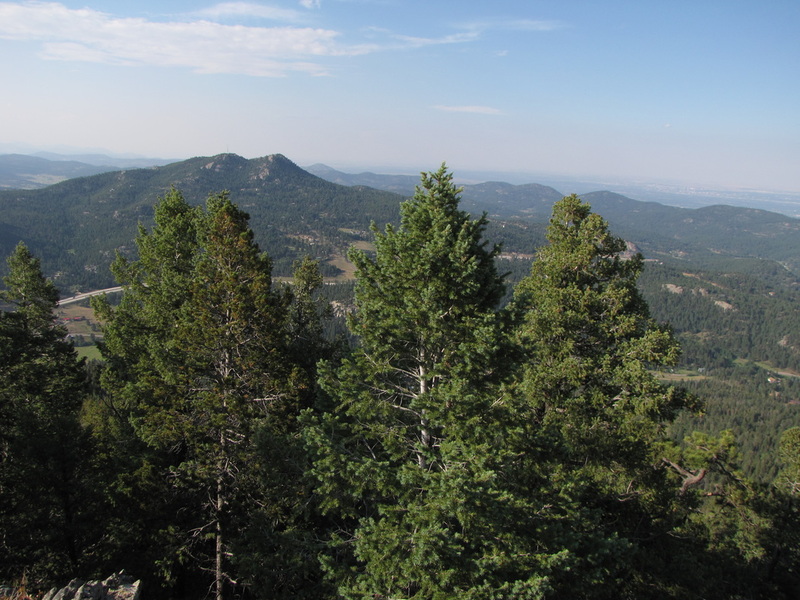 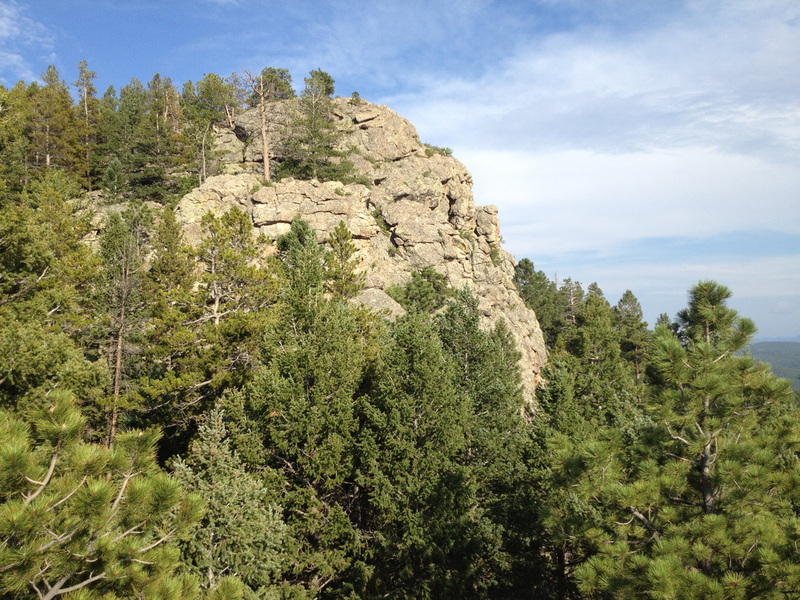 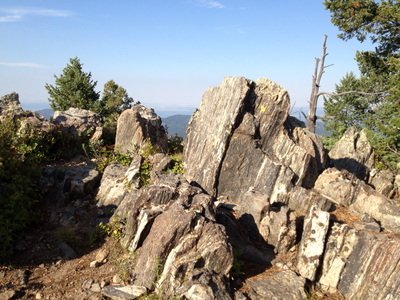 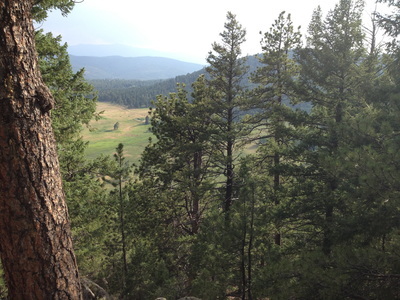 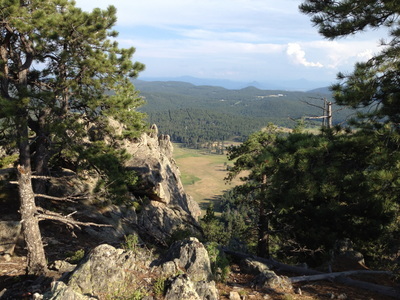 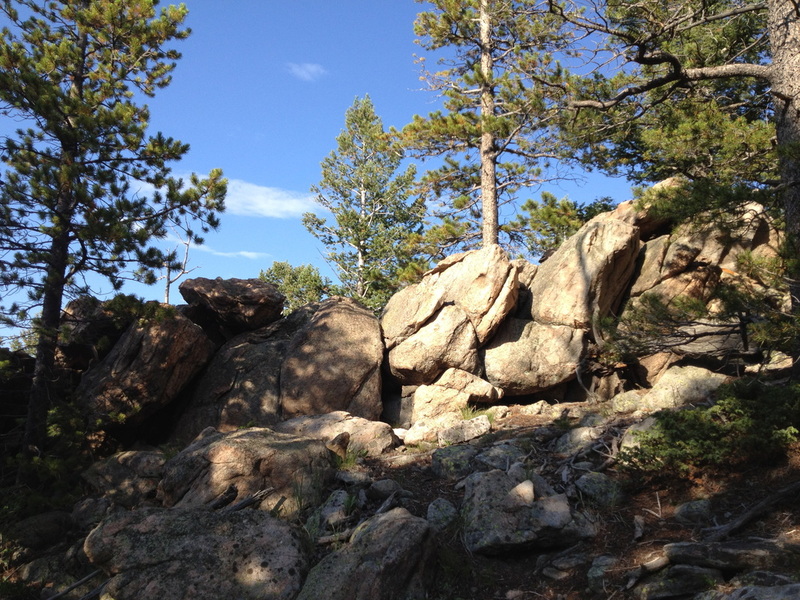 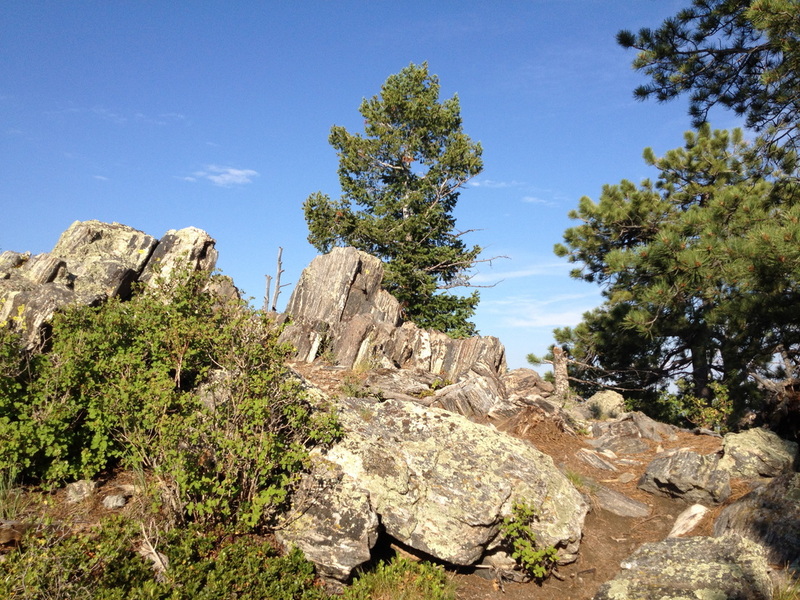 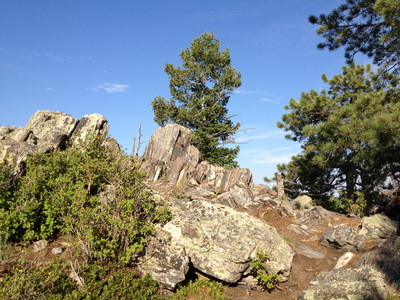 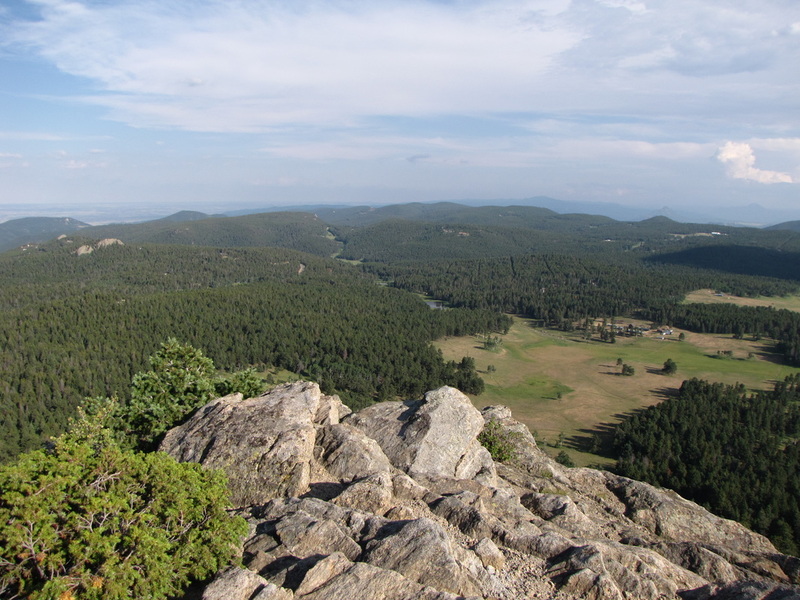 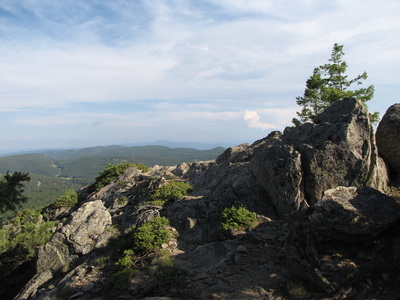 As you climb steeply through the forest you can take a side trail that leads you to the base of the summit rock outcropping, but be sure to return to the trail in order to reach the summit. 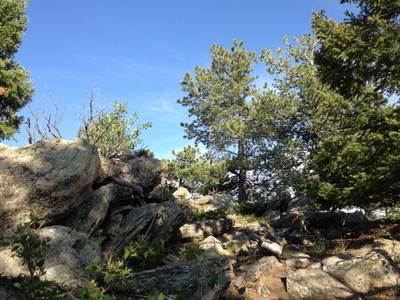 The trail gets steeper as you near the summit and the final pitch requires some easy scrambling onto the top of the outcrop. 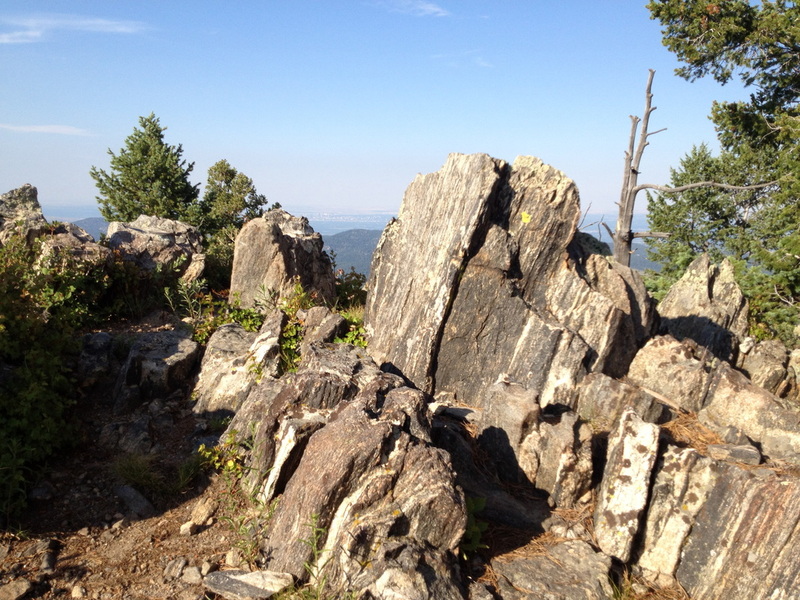 The view from the summit is wonderful in all directions. 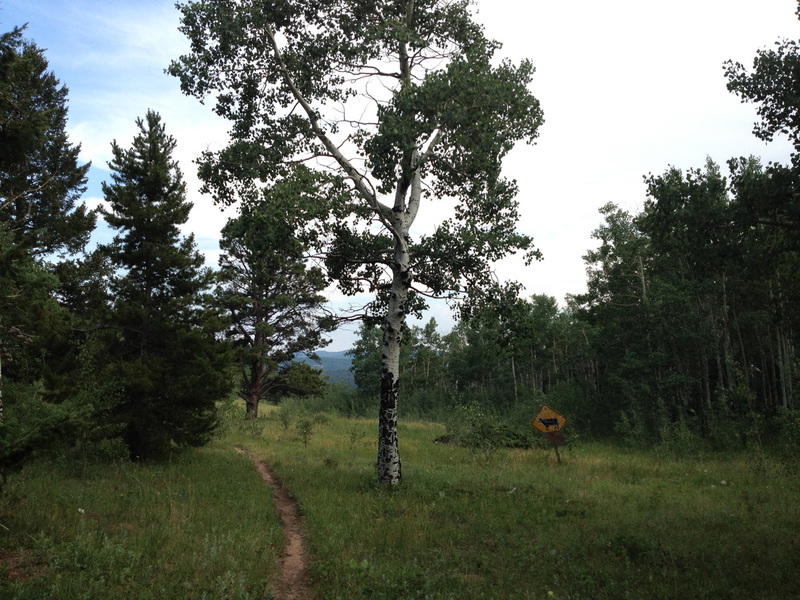 On the way down be sure to stay on the same trail that you took going up, but if you do lose your way, just remember to head due west and you'll soon intersect with the Old Ski Run Loop. 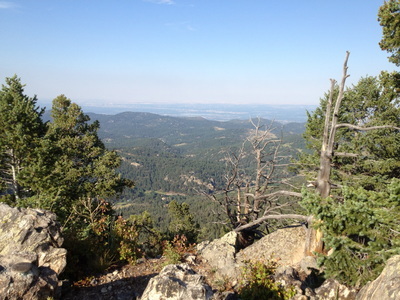 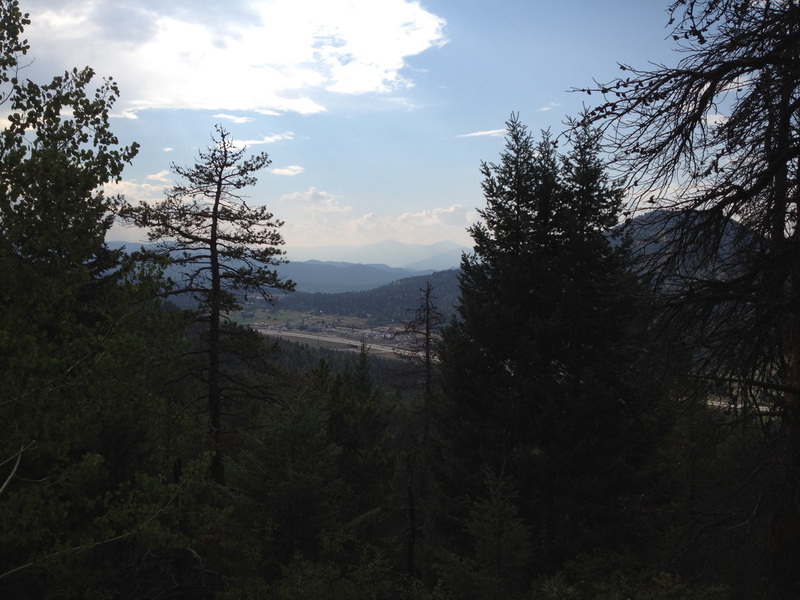 The hike up to Legault Mountain is a terrific hike and allows you to see the entire park in one hike. While the summit is off the official trail system it is open to the public but be careful and be observant. 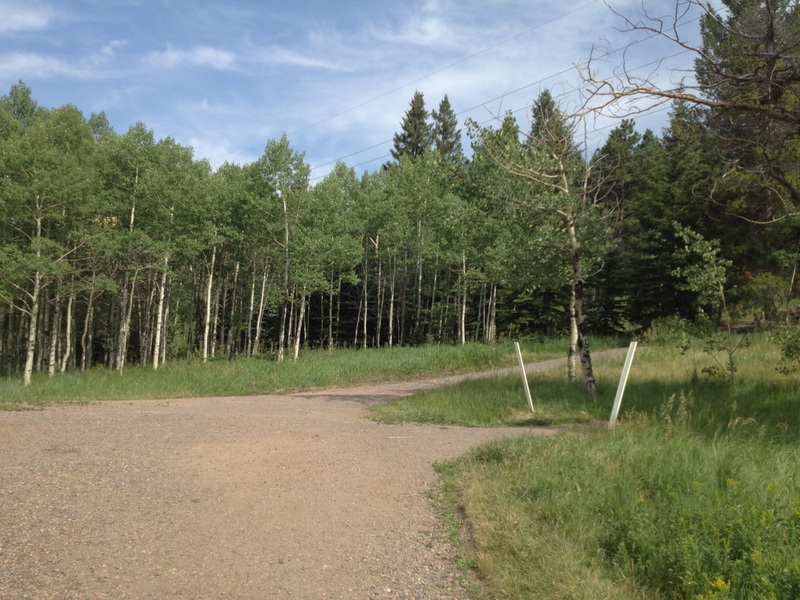 Even in a small park like Meyer Ranch, it is possible to become disoriented and lose your way. 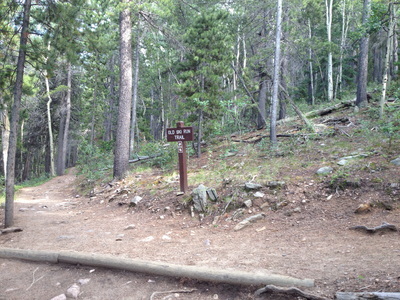 Take your time, look for the trail markers, and you'll have a great hike.